Are you prepared if your hard drive crashes? 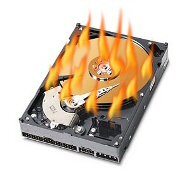 All hard drives will crash one way or another for some reazon corruption, virus attack, mechanical failures, etc. Hard drive failures happen more often than you might think. It could be caused by a physical or hardware failure or a logical or software failure in the drive. By the way you must be proactive before lost your data. You should know to take preventative measures before disaster strikes like using disk imaging software or cloning to make an exact replica of your hard drive. We can make a disk imaging or cloning to make an exact replica of your hard drive or your computer system to be used on differents scenarios: Restore any supported Windows operating system and its programs and applications without re-installation, fast and safe Windows migrations to new storage devices (HDD or SSD) and even downsizes to smaller capacity drives, or cloning your full computer, to identical, similar or different hardware configurations. Cloning Desktop PC, Laptops, Netbooks, and Servers will be speeding up the migration process on differents scenarios, included physical and/or virtual options. Imaging a drive is more for backing up purposes. The best way to use the computer imaging process would be to take an image of a healthy computer, copy that image file and put it in a safe place, then set up an incremental backup on the original image. The purpose of copying and saving the original image is in case you incrementally backed up a virus or some other form of scumware on the original image. If that happened, you would still have the original image for restoration purposes without having to reinstall Windows and all of the other applications that have accumulated on your hard drive. Cloning a drive actually clones the entire contents of the drive to another drive or partition and does not create an image file. Cloning a drive is useful to upgrade your hard drive or clone a failing drive to a new one. The only issue with cloning is that you need to have two physical hard drives in the same computer (unless you have an external USB hard drive enclosure on hand). During the cloning process, you choose which drive you want to clone. If you accidentally pick the new empty drive, and clone that to the original drive, you will totally overwrite all of your data. No getting it back, it’s gone. Been there done that – once. This is why I recommend using the hard drive imaging process to upgrade a hard drive. It adds an extra step but it is a safety measure as well.